This image was taken about 5 minutes after this one, and you can see how the depth of the color just kept increasing, and the clouds moved in from the right to fill the sky. 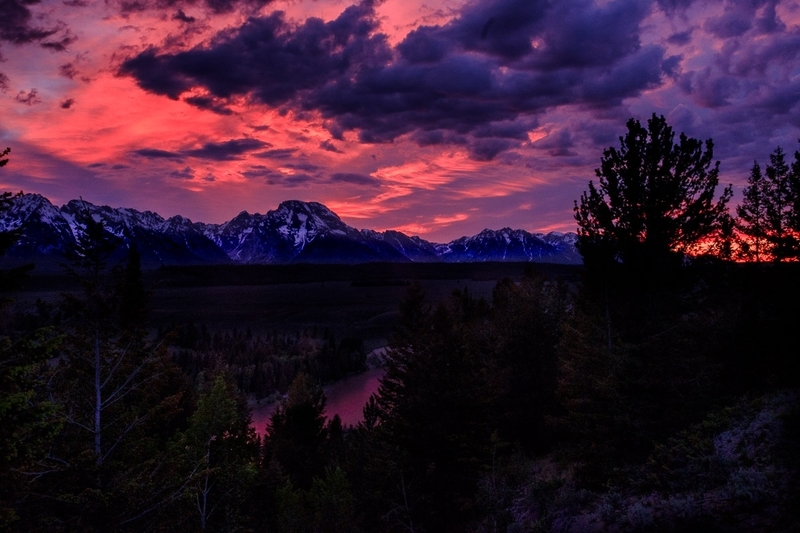 Again, this is the Snake River Overlook on what started as a boring grey-sky evening. Then this splash of red color showed up far to the east, and rather quickly filled the entire vista.